Paul LaRoche is the founder and producer of the award-winning Native American music group Brulé. The group is best known for thrilling audiences with a mergence of cultural rock and theatrical instrumentations. Now in their 20th season, their national performances carry the same contagious excitement as Trans Siberian Orchestra, Celtic Thunder, and Riverdance—but with the emotional impact of the American Indian culture. The group is one of the top-selling Native American adult/rock music groups and has chalked up impressive CD sales (over 1 million worldwide). Brulé has released 21titles in 20 years and has been named “Group of the Year” five times by the prestigious Native American Music Awards, earning seven NAMMYs since 2002. Their annual performance schedule takes them extensively throughout the U.S., touring the casino, performing arts theatre, arena, corporate and festival circuits. Brulé has pushed the boundaries of contemporary Native American rhythms and classic rock in their genre-blending selections. Their electrifying show consists of a 5-piece rock ensemble augmented with an array of traditional Native American instrumentation. Paired with the stunning steps of one of the top Native American dance troupes, their authenticity brings a multi-dimensional art form to this cultural rock opera. The musical journey of Brulé’s founder, Paul LaRoche, adds an affecting story to audiences and has been well documented in the best-selling biography "Hidden Heritage". Brulé is seen regularly on national PBS affiliates across the country. Their history-making concert, “Brulé, Live at Mount Rushmore—Concert for Reconciliation of the Cultures”, has become the longest running Native American concert special on national TV. Brulé produced over 70 episodes of the TV Program “Hidden Heritage” for cable TV. RFD-TV is a cable TV network that broadcasts to over 40 million homes across the United Sates and international markets. The show “Hidden Heritage” presents positive stories from across Native America. Brulé is pioneering a new trend in the music industry: the epic Native American Rock Theatre. Following an extended 50th anniversary tour, the ensemble grew to a six-piece in 2018 for the first time since their early jug band days. The group now includes Jeff Hanna (acoustic guitar, electric guitar), Jimmie Fadden (drums, harmonica), Bob Carpenter (keyboards), Jim Photoglo (bass, acoustic guitar), Ross Holmes (fiddle, mandolin), and Jaime Hanna (electric and acoustic guitar). All six members also sing, and when their voices merge, the harmonies add a powerful new component for the legendary band. And with the father-son pairing of Jeff and Jaime Hanna, the band carries on a country music tradition of blood harmony. Jeff Hanna says, "It's like when you throw a couple of puppies into a pen with a bunch of old dogs. All of a sudden, the old dogs start playing, you know? That's kind of what's happened with us. The basic vibe is so up and positive, and the music– we're hearing surprises from Jaime and Ross all night. And they're encouraging us in the same way to take more chances. It's opened a lot of doors for us, musically, and the morale is really great. That's important for a band that's been out there for over 53 years." The Nitty Gritty Dirt Band played their first gig in 1966 in Southern California as a jug band and by 1969 had become a cornerstone of the burgeoning country-rock community. Their career breakthrough came in 1970 with the release of the record Uncle Charlie & His Dog Teddy and the single "Mr. Bojangles," a folksy Top 10 pop hit that remains a staple of their live show. During a tour stop in Nashville around that time, Earl Scruggs and his family came backstage to say hello. That introduction led to a friendship and some of the connections the band needed to record Will the Circle Be Unbroken. That three-disc album brought Nitty Gritty Dirt Band together with a number of country, folk, and bluegrass legends. Heroes like Roy Acuff, Mother Maybelle Carter, Jimmy Martin, Merle Travis, and Doc Watson joined the scruffy, young band to record country music standards such as "I Saw the Light" and "Keep on the Sunnyside." The acclaimed project is considered a landmark recording in American music. Nitty Gritty Dirt Band earned a pop resurgence in 1980 with "An American Dream" and "Make a Little Magic." Those singles also found traction on the country chart, setting the stage for a major run at country radio. The band secured 16 Top 10 country hits between 1983 and 1990, including three No. 1 singles: "Long Hard Road (The Sharecropper's Dream)," "Modern Day Romance," and "Fishin' in the Dark." Bernie Leadon, a founding member of The Eagles, played in the band from 1986 to 1988 filling a vacancy by longtime member John McEuen. With so much material to work with, the band is making it a point to shuffle the set lists more often, meaning that this isn't the same Dirt Band show from years past. "We're fortunate that we've got a deep songbook. That's been on our list, to resurrect some of the tunes we haven't done in a while, in addition to some new stuff," Hanna says. At the peak of their country career, the band toured Europe with Johnny Cash and June Carter Cash, who hinted that they'd love to appear on a sequel to Will the Circle Be Unbroken, if the band ever decided to make one. That gesture convinced the band to get back in the studio to record another all-star album. Circle Volume II featured Johnny and June, as well as Rosanne Cash, Emmylou Harris, Levon Helm, John Hiatt, Bruce Hornsby, John Denver, Ricky Skaggs, New Grass Revival, and many other marquee names – not to mention encore performances by Roy Acuff, Jimmy Martin, and Earl Scruggs. Released in 1989, the album won three Grammys and a CMA Award for Album of the Year. As the country music landscape shifted toward a youth market, the Nitty Gritty Dirt Band kept on touring and recording. They played on two projects by The Chieftains, cut a song with Karla Bonoff for an album dedicated to the 1996 Olympics, and contributed "Maybe Baby" to a Buddy Holly tribute, Not Fade Away. Another collaborative album, Will the Circle Be Unbroken, Volume III, arrived in 2003. Soon after, the band earned an additional Grammy for "Earl's Breakdown," which they recorded with Earl Scruggs, Randy Scruggs, Vassar Clements and Jerry Douglas. Meanwhile, both "Mr. Bojangles" and Will the Circle Be Unbroken were inducted into the Grammy Hall of Fame. The Nitty Gritty Dirt Band took a moment to acknowledge their incredible history by filming a 50th anniversary concert event at the Ryman Auditorium in Nashville. Guests for that Circlin' Back special included early Dirt Band member Jackson Browne, Sam Bush, Rodney Crowell, Vince Gill, Alison Krauss, John Prine, Jerry Douglas, Byron House, Jerry Jeff Walker, and longtime Dirt Band member Jimmy Ibbotson. The concert aired as a nation-wide PBS Pledge special in 2016 and won a regional Emmy for Special Event Coverage. Today, the Nitty Gritty Dirt Band consists of Jeff Hanna, Jimmie Fadden, Bob Carpenter, for years known as "the new guy," and Jim Photoglo, a friend of the band whose credits include cowriting "Fishin' in the Dark", as well as touring and recording with Carole King, Dan Fogelberg, and Vince Gill. Newest members Jaime Hanna and Ross Holmes also bring years of experience to the band. Hanna toured and recorded with The Mavericks and Gary Allan, while Holmes toured and recorded with Mumford & Sons and Bruce Hornsby. "The energy these days is so up -- and our fans have responded in a really great way," Hanna says. "As a fan of other bands, I know how complicated it can be when members come and go. You can either embrace that or you don't. Our fans are really gracious and I appreciate that. It's been a really good run and there's a lot of daylight ahead of us." "Limiting myself to a genre has never really been my thing," says Pokey LaFarge. "I'm most purely a rambler. I'm traveling the world all the time, and my songs have been directly influenced by my travels. You're liable to hear something in my songs that sounds like traditional jazz; next thing you know, you might be hearing something that sounds like Bob Dylan's Nashville Skyline mixed with the chanson singers of France, or a waltz mixed with cumbia, or soul mixed with swing." Ever since his first record, 2006's self-released Marmalade, LaFarge has been a difficult specimen to pin down, indeed. Though he was raised on a healthy diet of blues, bluegrass, ragtime, Western swing and old-time country — and though he has consistently demonstrated a decided affinity for pre-1950s menswear — the Illinois native is by no means a throwback or a museum piece. Timelessness, and refined good taste, is LaFarge's raison d'être, and his influences are as multi-hued and wide-ranging as the rhythms that buoy his starkly poetic songs — rhythms that are steeped in the very essence of jazz. "With me, lyrics are the most important thing," he explains. "But when it comes to music, it's just as much about the groove — something about the groove that makes me want to move, you know? There's always a little bit of swing to it, something that's got a bounce. I mean, people have been swinging for hundreds of years!" LaFarge's deft way with words and music — as showcased on such dynamite discs as 2008's Beat, Move and Shake, 2010's Riverboat Soul, 2011's Middle of Everywhere, and 2015's Something in the Water — has won him raves from critics, and inspired a devoted following on both sides of the Atlantic. Jack White, recognizing LaFarge as a kindred spirit, asked him to sing and play mandolin on White's 2012 album Blunderbuss, took LaFarge and his band the South City Three out on tour as a supporting act, and signed him to Third Man Records for 2013's Pokey LaFarge LP. LaFarge also performed the White-penned "Red's Theater of the Absurd" in a saloon scene in Gore Verbinski's 2013 film The Lone Ranger, an appearance which eventually led to landing the recurring role of country legend Hank Snow in CMT's 2017 series Sun Records. LaFarge has played big stages like the Ryman, Red Rocks and Bonnaroo, but he's equally at home ripping it up in any small theater, nightclub or roadhouse that'll have him. With each of his albums, up to and including 2017's critically acclaimed Manic Revelations, LaFarge has evolved and reinvented himself as an artist, preferring to continually refine his sound and tinker with his approach instead of resting comfortably in one spot. "Early on, I was into leaving things open to interpretation," he says. "It was like me solo, performing as if I was a full band. Or it was me and three other guys — the South City Three — all string instruments, performing as if we had a horn section. And then I got the horn section and the drums, and everything was so loud and all the space was filled, that I had to dial it back. Maybe it's hard for the fans to keep up sometimes, but my favorite composers are the ones that you can't describe what their music is, and every single record is different from the one that preceded it." LaFarge switched gears again in 2018, uprooting himself from his longtime home of St. Louis, Missouri, and settling in Los Angeles. "People know me as being a midwestern boy," he says, "but I really needed a change of scenery, some new challenges, new inspirations, new routines, things like that. St. Louis being a small town, I was well known there. You're kind of under a microscope, people put a lot of weight on you, and some of them are looking to hate on you seemingly because you became a successful artist — you're damned if you do, damned if you don't. Out here, I'm more anonymous, and that's great. There's freaks everywhere, you know? I'm with my people now!" The West Coast has always held a special allure for LaFarge; after graduating high school, he hitchhiked to Southern California and supported himself by busking. But Los Angeles has also been the home of two of his biggest heroes: Tom Waits and Charles Bukowski. "It's kind of cool to be living where my favorite music composer is from, and my favorite poet is from," he laughs. "I'm loving hanging around this place. There are some cool ghosts here." There's also a palpable sense of freedom in L.A., something that's brought about a further recalibration of LaFarge's creative vision. "I think in some respects in the past, I was playing a character," he says. "I created that character, but then people got used to me, and they wanted me to play it; and when I didn't, they said I was out of character. Yeah, I want to create characters in my songs, but I would also like to be honest about who I am, and have my work chart the progression of that exploration. But is that even possible? I don't know. When you're changing all the time, maybe the trick is just to do whatever you can to keep the demons away." After a decade spent mostly touring, recording and touring some more, LaFarge is looking forward to easing up on the gas pedal, and taking a more considered approach to his writing. A book of poetry is in the works, something he's been wanting to do for years. "As a poet first, I've had a hard time getting my poetry into my music," he says. "The forms of American song that I've come up playing, they have distinct chord progressions and structures, and then I'm trying to fit my poetry, which is very fluid, into these boxes. It's almost like living a dual life. I'm gonna keep trying to fit my poetry into my music — but I also wonder, because poetry has become so damaged by the academic world, is it now dead in the minds of most people? So that's going to be an interesting thing to play with." There will be more Pokey LaFarge music, as well, though its sound and format have yet to be revealed. "I'm messing around with different ideas of how and when to release songs," he says. "It may be a song a week for a couple of months, or maybe some EPs. I'll be experimenting with different musicians and collaborators, different producers and backing bands, while I continue to play solo shows and write new material with my acoustic and my electric guitars. And, who knows, maybe the occasional acting thing." It's an exciting time to be Pokey LaFarge — and the next few years are going to be an exciting time to be a Pokey LaFarge fan. "You're going to hear a myriad of different styles and presentations," he promises. "Hopefully more piano, a little more electric guitar. A lot more minimalism, a lot more space between rhythm and melody. A lot more poetry. And it's going to be weirder and darker and more beautiful and sexier going forward. That is my pursuit." In 2018 as part of Big Top's Free Family Series, Terrance Simien presented the wonderful show Creole for Kidz. If you were lucky enough to attend, it was fascinating and entertaining no matter what your age. Zydeco is the traditional music of the black and mixed race French speaking Creoles of south Louisiana. Creole for Kids is centered on the history and evolution of this unique American roots music. This groundbreaking, one-of-a-kind program has reached over 500,000 K-12 and college students, parents and educators at schools, art centers and festivals around the globe. This episode also features a selection of three songs from a 2018 Blue Canvas Orchestra performance. Musician, filmmaker, and humanitarian Michael Franti is recognized as a pioneering force using music as a vehicle for positive change. His unforgettable, high energy shows with his band, Spearhead, draw on the music of hip hop, reggae, funk and rap. "I make music because I believe it can change people's lives and make a difference in the world," enthuses Franti, "music gives us new energy and a stronger sense of purpose." He and his band Spearhead guarantee a show that will be thought provoking as well as energetic. We were excited to welcome Franti for his 3rd visit in his 2017 appearance at Big Top. This episode also features Noble Sound System, the hard working original reggae act from Northern Wisconsin. Ladysmith Black Mambazo was founded by Joseph Shabalala in South Africa in the early 1960s. The group sings a traditional style called isicathamiya (is-cot-a-ME-Ya), developed in the mines of South Africa. Called South Africa’s Cultural Ambassadors to the World by Nelson Mandela, they became known to mainstream audiences through their collaboration with Paul Simon on the Graceland album. Ladysmith Black Mambazo’s recording career currently includes more than seventy albums, earning nineteen GRAMMY Award nominations and five GRAMMY Award wins; Shaka Zulu (1988), Raise Your Spirit Higher (2004), Ilembe (2009), Singing For Peace Around the World (2013), and Shaka Zulu Revisited (2017). Formed at the Hoxeyville Music Festival in 2014, The Sweet Water Warblers have gone on to attract serious admiration wherever they appear. Michigan songbirds, Rachael Davis, Lindsay Lou and May Erlewine had each carved out successful careers on the American Roots Music circuit and in the process grew to respect each others’ work. When they finally gelled into the potent force they have become, it was the most natural coming together – three singing sirens and multi-instrumentalists whose repertoire swings from gospel and bluegrass to soul and even joyful interpretations of pop. With three-part vocal harmonies that are sublime, they trade instruments including mountain fiddle and banjo, uke, guitar and double bass. “At the time we were expelled, we lived in the church’s parish house,” explains Vos. “Suddenly, my father was unemployed and my family was homeless. My parents couldn’t afford insurance for the medical care my siblings needed. We were kicked out and completely abandoned.” However, Vos’ love of music carried on after she left the church. When bassist Daniel Wolff and Vos first started playing music together, it felt as if the clouds had finally parted. Vos introduced songs she’d been writing since high school open mics, Wolff learned a new instrument for the band (the double bass), and within months, they had earned a devoted local following. Regular gigs led to steady residencies led to regional touring and their first recordings. Two of the band’s original members ultimately left the group due to opioid addictions (“I still see the pawn shop sticker every time I look at my guitar tuner,” remembers Vos), but the Dead Horses moniker the pair created as a tribute to a friend who’d over-dosed from heroin stuck even after their departure. American Songwriter called Vos “a compelling vocalist…who carries every tune with her husky, deeply emotional tone that feels lived in and real,” while No Depression hailed her songwriting as “beautiful and fresh.” With a fleshed out touring lineup, the group logged countless miles, sharing bills along the way with Trampled by Turtles, Mandolin Orange, Rhiannon Giddens and Elephant Revival in addition to making festival appearances from Bristol Rhythm and Roots to WinterWonderGrass. We were lucky enough to welcome them live on stage at Big Top Chautauqua. Roy Clark was an American singer and musician. He is best known for having hosted Hee Haw, a nationally televised country variety show, from 1969 to 1997. Clark was an important and influential figure in country music, both as a performer and in helping to popularize the genre. During the 1970s, Clark frequently guest-hosted for Johnny Carson on The Tonight Show and enjoyed a 30-million viewership for Hee Haw. Clark was highly regarded and renowned as a guitarist, banjo player, and fiddler. He was skilled in the traditions of many genres, including classical guitar, country music, Latin music, bluegrass, and pop. He had hit songs as a pop vocalist (e.g., "Yesterday, When I Was Young" and "Thank God and Greyhound"), and his instrumental skill had an enormous effect on generations of bluegrass and country musicians. He became a member of the Grand Ole Opry in 1987, and, in 2009, was inducted into the Country Music Hall of Fame. He published his autobiography, My Life in Spite of Myself, in 1994. In memorial of Roy Clark's passing on November 15, 2018, we rebroadcast his 2014 appearance on the Big Top Chautauqua stage. A master songwriter, John Hiatt's songs have been recorded by Bob Dylan, Bonnie Raitt, Emmylou Harris, and many more. He received a star on Nashville’s Walk of Fame, the Americana Music Association’s Lifetime Achievement Award for Songwriting, and was inducted into the Nashville Songwriters Hall of Fame. The 2018 show heard on this episode marked the 30th Anniversary of his album, "Slow Turning". The band performed “Slow Turning” in full followed by a final set of all his hits. The New Standards are three friends, musicians and raconteurs who have been performing together since 2005 in clubs and theaters everywhere, from Shanghai to New York City. They've released half a dozen CDs and populated Youtube with a number of popular videos. In their original state, they take the form of an unusual trio (stand up bass, piano and vibraphone), but of-late have been the soul and creative core of a hydra-headed, funny, freewheeling, nutty yet very moving "Variety Show". Many people play roots music, but few modern musicians live those roots like Minnesota’s Charlie Parr. Parr’s heartfelt and plaintive original folk blues and traditional spirituals don’t strive for authenticity: They are authentic. It’s the music of a self-taught guitarist and banjo player who grew up without a TV but with his dad’s recordings of America’s musical founding fathers. However, Vos’ love of music carried on after she left the church. We were lucky enough to welcome them live on stage at Big Top Chautauqua. In this episode of Tent Show Radio you'll hear the show given by Dead Horses when they came to the Big Blue Tent in 2017. Andrew Bird has been called a Musical innovator who winds together his trademark violin technique with xylophone, vocals and sophisticated electronic looping. Add in his uncanny ability to whistle anything, and he becomes a riveting one-man orchestra. He was initially known through his work with the band Squirrel Nut Zippers before forming Bowl of Fire, and is now best known as a solo musician. He wrote “The Whistling Caruso” for The Muppets and performed the whistling heard in both the film and the soundtrack. Bird composed the score for the FX original series Baskets. This weeks episode also features a set by Minneapolis favorites, Roma Di Luna. Roma di Luna conjure elements of traditional Americana filtered through a modern lens, ethereal uncertainty, and an underlying passion throughout. Reuniting in 2017 after a 6 year hiatus, they paid a visit to the Big Top for a performance to remember. A jam band with a unique style and presence, the Big Wu combines strong, free flowing improvisation and vocal harmonies, with finely crafted songs for all tastes. The story goes that “the Wu,” bound for rock stardom, sold their souls for a case of Old Style beer one thirsty night long ago. The legend and the band live on. Still rocking their powerful, moving, and energizing music for the fans, we were pleased to welcome them back in our 2017 show season for their 2nd appearance at the Big Blue Tent. Black River Review plays freshwater bluegrass from the twin sports of Duluth, MN and Superior, WI. BRR has crafted their own sound made up of mostly original music which can be heard on their debut album “Garbage Pickin’ (2013). Their sophomore album “Spring Thaw” was released in 2014, and their latest release was revealed in 2017, right at our very own Big Top performance! In addition to being inducted into the Grand Ol’ Opry, and too many halls of fame to mention, they are also the winners of two Grammy awards for music from Disney/Pixar’s Toy Story 2 and Monsters, Inc. It comes as no surprise then that Billboard’s, Jim Bessman, counts them as one of the “most significant acts in the history of American music.” The Quebe Sisters (pronounced Kway-bee) are the newest darlings of Western music, performing a refreshing blend of vintage country, bluegrass, jazz & swing standards, and Texas style fiddling. There are two ways of handling a dangerous, raging river: you can surrender and let it carry you away, or you can swim against the flow. For The Secret Sisters, there was a point after the release of their last record when they could have chosen to do neither – instead, sinking to the bottom as the weight of the world washed away their dreams. They went from touring with Bob Dylan to losing their label, purging their team, filing bankruptcy and almost permanently trading harmonies for housecleaning. But there’s a mythical pull to music that kept sisters Laura and Lydia Rogers moving forward, and they came out with a biting and beautiful third LP, produced by Brandi Carlile, You Don’t Own Me Anymore. Their first as New West signees, it’s a document of hardship and redemption, of pushing forward when it would be so much easier to drown in grief. And it’s a story about how passion and pure artistry can be the strongest sort of salvation – how art is left, like perfect grains of sand, when everything else has washed away. Big Top was happy to welcome The Secret Sisters to the tent in 2017, a magical performance featured in this episode. Our featured performer on today’s show is self-proclaimed “wild child” singer songwriter Brett Dennen. Sometime around the halfway mark I’ll share a story about the consequences of self-inflicted sugar bombs. We’ll also sneak in musicby Quito Rymer and our very own Blue Canvas Orchestra. Formed in 1970 in Paw Paw, West Virginia and now based in Austin, Texas, Asleep at the Wheel has been the most instrumental force in keeping Western swing music alive. In their career, they have released more than twenty studio albums, have charted more than twenty singles on the Billboard country charts, and earned nine Grammy Awards. The band continues to introduce Western swing to new generations on tour and takes audiences on the ride of a lifetime with their freewheeling, classic sound. Described by Reuter’s as “one of the best live acts in the business,” Asleep at the Wheel made their third appearance on the Big Top stage in 2017, this time joined by Texas musical icon Dale Watson. Watson is a country singer, guitarist, and songwriter based in Austin. He champions “Ameripolitan” as a new genre of original music and has positioned himself as a tattooed, stubbornly independent and slightly irreverent outsider who is interested in authentic country music. Minneapolis favorites Roma di Luna conjure elements of traditional Americana filtered through a modern lens, ethereal uncertainty, and an underlying passion throughout. Reuniting in 2017 after a 6 year hiatus, they paid a visit to the Big Top for a performance to remember. Terrance Simien is an American zydeco musician, vocalist and songwriter. Simien is an eighth generation Creole from one of the earliest Creole families documented to have settled in the Mallet area of St. Landry Parish. While in his teens, he taught himself to play accordion and formed his first band Terrance Simien & The Mallet Playboys, and began to play the regional zydeco club and church hall circuit. In the early 1980s, Simien was in his early 20's and one of only two (Sam Brothers was the other) emerging zydeco artists leading a band and performing their indigenous zydeco roots music. This was a pivotal time in zydeco music history since the pioneers of the genre were aging and the music was in jeopardy of dying off without the critical presence of emerging artists continuing the traditions. Simien and his band have toured internationally, presenting over 7000 live performances in more than 40 countries, and released dozens of solo recordings and collaborations. He has shared studio and stage with the likes of Paul Simon, Dr. John, The Meters, Marcia Ball, Dave Matthews, Stevie Wonder, Robert Palmer and the roots rockers Los Lobos. He has appeared on screen and contributed to the soundtracks of multiple movies, television films and commercials. He appears on the soundtrack of the Disney film, The Princess and the Frog set in the French Quarter of New Orleans, featuring authentic Louisiana music scored by Randy Newman. He has also contributed to the soundtracks of movies, such as, The Big Easy, Exit To Eden and A Murder Of Crows. Simien and his business partner/wife, Cynthia, are active in Creole music education and advocacy. They created the "Creole for Kidz & The History of Zydeco" performing arts program, which provides informational performances to K-12 students, teachers and parents. Since it was created in 2001, Creole for Kidz has reached nearly 500,000 students, parents and teachers in more than 20 states, Mali, Dominican Republic, Brazil, Paraguay, Canada and Australia. The Simiens understand the importance of mentoring emerging artists and created MusicMatters, Inc., a non-profit for education and advocacy. In 2007, the Simiens helped establish a new Grammy voting category, Best Zydeco or Cajun Music Album. His group, Terrance Simien and the Zydeco Experience, were the first ensemble to win a Grammy in that same category in 2008. He is considered to be one of the most gifted vocalists, engaging performers and innovative recording artists in American roots music. What do you get when you grow up in a house right next to the ticket gate of Big Top Chautauqua? Corey Carlson, of course. Weaned on all the legendary performers gracing the Big Top stage from childhood on up, and now a regular play with our own Blue Canvas Orchestra, Carlson is a prolific songwriter and exceptional musician whose charismatic stage presence, amazingly versatile voice, and rock solid instrumentation make him a perennial favorite. Corey performs his unique brand of rock, blues & soul. Jan Lee and Severin Behnen led the Blue Canvas Orchestra in a new show in 2017 about the queen of all the Great Lakes - Lake Superior. Celebrate the power, majesty, history, and natural wonder of Gitche Gumee through original songs and stories. Jan Lee is the founder of StageNorth in Washburn and a regular performer on the Big Top Stage. Severin Behnen is Big Top’s Musical Director during the summer and a teacher and professional musician in Los Angeles in the offseason. They were joined by BCO members and special guests including Molly Stoddard, Frank Montano, Tom Draughon, Tom Mitchell, Jack Gunderson, Phil Anich, Liesel Wilson, and Bruce Qualey, along with visual director Betty Ferris, for this special original production. When Big Top's house band The Blue Canvas Orchestra pays homage to the Grand Ole Opry what you get is one bang-up show: Big Top Opry. In 2014 the dynamic team of Severin Behnen and Corey Carlson put together our first Opry show which celebrated the best of the Grand Ole Opry from the 30s, 40s and 50s. The live show was so popular that they continued in 2017 with Big Top Opry 2: The Outlaw Years. That next installment of great country and western music took us from the mid-60s through the early 80s with music from Opry icons like Willie & Waylon, Dolly & Loretta, Johnny Cash, Merle Haggard, Glen Campbell, Charley Pride and Tammy Wynette. Hear the the Outlaw Years show in this episode of Tent Show Radio. This show features the Blue Canvas Orchestra with Corey Carlson and special guests Andy Dee, Randy Sabien, Joe Savage, Danielle Diamond, Emily Belanger and Lizzie Herriott. Ziggy Marley has performed at Big Top Chautauqua twice now. The first was his wildly popular show in 2014, and the second was his fantastic 2017 performance which you'll hear on this episode of Tent Show Radio. Ziggy Marley, an eight-time Grammy winner, Emmy winner, humanitarian, singer, songwriter, and producer, continually progresses at every turn. Ziggy’s musical history dates back to ten-years-old when he sat in on recording sessions with his father, Bob Marley. His eight-album catalog with the Melody Makers encompasses three GRAMMY Awards, countless sold out shows, and anthems including “Look Who’s Dancing,” “Tomorrow People,” and “Conscious Party.” Since making his solo debut in 2003, he received the Grammy for “Best Reggae Album” in 2006, 2012, and 2015 in addition to the Award for “Best Children’s Album” in 2011. You'll also be treated on this episode to some selections from Ladysmith Black Mambazo's 2013 appearance at Big Top. Ladysmith Black Mambazo was founded by Joseph Shabalala in South Africa in the early 1960s. The group sings a traditional style called isicathamiya (is-cot-a-ME-Ya), developed in the mines of South Africa. Called South Africa’s Cultural Ambassadors to the World by Nelson Mandela, they became known to mainstream audiences through their collaboration with Paul Simon on the Graceland album. Ladysmith Black Mambazo is poised to become a second-timer at Big Top as well, scheduled to perform in the Big Blue Tent on August 2, 2018. We look forward to the performance as it is sure to be an especially magic-filled evening. Bruce Hornsby and the Noisemakers brought quite a show to the Big Blue Tent in 2017. The band's perfect mix of top-notch songwriting and adventurous, virtuosic, and just plain fun improvisation kept the whole tent spellbound from note one. Soon Hornsby was being approached regularly to collaborate with a broad range of musicians and writers, a demand that continues to this day. Over the years Hornsby has successfully ventured into bluegrass, jazz, classical, and even electronica. His three Grammy wins (along with his ten Grammy losses!) typify the diversity of his career: Best New Artist (1986) as leader of Bruce Hornsby and the Range, Best Bluegrass Recording (1989) for a version of his old Range hit "The Valley Road" that appeared on the Nitty Gritty Dirt Band's Will The Circle Be Unbroken Volume Two, and a shared award with Branford Marsalis in 1993 for Best Pop Instrumental for "Barcelona Mona", a song written and performed for the 1992 Olympic Games. The sales stats and breadth of his collaborations (including being sampled many times by rap/hip-hop artists) speak volumes about Hornsby's unique fusion of mainstream appeal and wild musical diversity. His albums have sold over eleven million copies worldwide. Indeed, Bruce Hornsby's restless musical spirit continues to spontaneously push him forward into exciting new musical pursuits. Three decades after Bruce Hornsby established his global name as the creator of pop hits that defined "the sound of grace on the radio," as a Rolling Stone reviewer once wrote, such projects continue and are consistent with his lifelong pursuit of musical transcendence. "It's always been about staying inspired, broadening my reach and range of abilities and influences, and exploring new areas", Hornsby says. "I'm very fortunate to be able to do that, to be a lifelong student, and to continue to pursue a wide-ranging musical life." This episode of Tent Show Radio also features songs from a past performance from The Mavericks, and also from the Blue Canvas Orchestra's Big Top Does the Beatles show. And if you like the magic flowing out of your radio on these performances, swing on over to BigTop.org and buy some tickets, because both The Mavericks and Big Top Does the Beatles are returning to the tent in 2018. This week Tent Show Radio flashes back to the biggest new hit of 2016 - a musical gem called Belfast to Bluegrass from the team of Severin Behnen, Stevie Matier and Bruce Burnside. Belfast to Bluegrass is a musical adventure of jigs and ballads as they travel to the Appalachian Mountains by way of a quarter of a million Scots Irish. Before the United States were formed, the inhabitants were absorbing, merging and transforming the ethnic sounds of its people. Hear the changes in the traditional Celtic tunes as bluegrass and other genres are being born into the world of our traditional American musical culture. Performed by the Blue Canvas Orchestra, featuring special guests Stevie Matier, Molly Stoddard, Tom Draughon, Nori Perrine and Liesel Wilson. Considered a master among Texas music aficionados, blues experts, and critics alike, McClinton is highly respected, not only for the incredible longevity of his career but for his ability to meld genres into his own style. The celebrated three-time Grammy award winners, Delbert McClinton and his band Self-Made Men, will release their newest recording Prick Of The Litter in January. The CD contains 12 new songs that feature the soulful blend of blues, jazz, country and rock that has become synonymous with McClinton’s distinctive style. His songs and soul-stirring performances have connected with audiences across the country as well as his peers. Throughout the decades, McClinton has penned songs that have been cut by successful country and blues artists, collaborated with artists ranging from Bonnie Raitt to Tanya Tucker and continued to create relevant and distinctive music. This episode also features Big Top appearances by Big Wave Dave and the Ripples from Duluth, Minnesota, and of course our very own Blue Canvas Orchestra. The performance in this episode marks Gaelic Storm's 11th return to Big Top. Regularly playing more than 120 shows a year, Gaelic Storm has built one of the most diverse fan bases in modern music from bluegrass fans and country cowboys to Deadheads, rock & rollers and Celtic fanatics. Join host Michael Perry as he hosts another edition of Tent Show Radio from Lake Superior Big Top Chautauqua. Andrew Bird has been called a Musical innovator who winds together his trademark violin technique with xylophone, vocals and sophisticated electronic looping. Add in his uncanny ability to whistle anything, and he becomes a riveting one-man orchestra. He was initially known through his work with the band Squirrel Nut Zippers before forming Bowl of Fire, and is now best known as a solo musician. He wrote "The Whistling Caruso" for The Muppets and performed the whistling heard in both the film and the soundtrack. Bird composed the score for the FX original series Baskets. This weeks episode also features a set by Minneapolis favorites, Roma Di Luna. Roma di Luna conjure elements of traditional Americana filtered through a modern lens, ethereal uncertainty, and an underlying passion throughout. Reuniting in 2017 after a 6 year hiatus, they paid a visit to the Big Top for a performance to remember. A jam band with a unique style and presence, the Big Wu combines strong, free flowing improvisation and vocal harmonies, with finely crafted songs for all tastes. The story goes that "the Wu," bound for rock stardom, sold their souls for a case of Old Style beer one thirsty night long ago. The legend and the band live on. Still rocking their powerful, moving, and energizing music for the fans, we were pleased to welcome them back in our 2017 show season for their 2nd appearance at the Big Blue Tent. Black River Review plays freshwater bluegrass from the twin sports of Duluth, MN and Superior, WI. BRR has crafted their own sound made up of mostly original music which can be heard on their debut album "Garbage Pickin' (2013). Their sophomore album "Spring Thaw" was released in 2014, and their latest release was revealed in 2017, right at our very own Big Top performance! For thirty-five years Riders in the Sky have been keepers of the flame passed on by the Sons of the Pioneers, Gene Autry and Roy Rogers. While remaining true to the integrity of Western music, they have themselves become modern-day icons by branding the genre with their own legendary wacky humor and way-out Western wit, and all along encouraging buckaroos and buckarettes to live life ‘The Cowboy Way!’ In addition to being inducted into the Grand Ol’ Opry, and too many halls of fame to mention, they are also the winners of two Grammy awards for music from Disney/Pixar’s Toy Story 2 and Monsters, Inc. It comes as no surprise then that Billboard’s, Jim Bessman, counts them as one of the “most significant acts in the history of American music.” The Quebe Sisters (pronounced Kway-bee) are the newest darlings of Western music, performing a refreshing blend of vintage country, bluegrass, jazz & swing standards, and Texas style fiddling. The Blue Canvas Orchestra perform great country and western music takes us from the mid-60s through the early 80s with music from Opry icons like Willie & Waylon, Dolly & Loretta, Johnny Cash, George Jones, Glen Campbell, Charley Pride and Lynn Anderson. This show again features theBlue Canvas Orchestra with Corey Carlson and special guests Andy Dee, Randy Sabien, Joe Savage, Danielle Diamond and Emily Belanger. There are two ways of handling a dangerous, raging river: you can surrender and let it carry you away, or you can swim against the flow. For The Secret Sisters, there was a point after the release of their last record when they could have chosen to do neither – instead, sinking to the bottom as the weight of the world washed away their dreams. They went from touring with Bob Dylan to losing their label, purging their team, filing bankruptcy and almost permanently trading harmonies for housecleaning. But there's a mythical pull to music that kept sisters Laura and Lydia Rogers moving forward, and they came out with a biting and beautiful third LP, produced by Brandi Carlile, You Don't Own Me Anymore. Their first as New West signees, it's a document of hardship and redemption, of pushing forward when it would be so much easier to drown in grief. And it's a story about how passion and pure artistry can be the strongest sort of salvation – how art is left, like perfect grains of sand, when everything else has washed away. Looking back over the past 25 years of rootsy, string-based music, the impact of Leftover Salmon is impossible to deny. Formed in Boulder at the end of 1989, the Colorado slam grass pioneers took their form of aggressive bluegrass to rock and roll bars at a time when it wasn’t so common, helping Salmon become a pillar of the jam band scene and unwitting architects of the jamgrass genre. 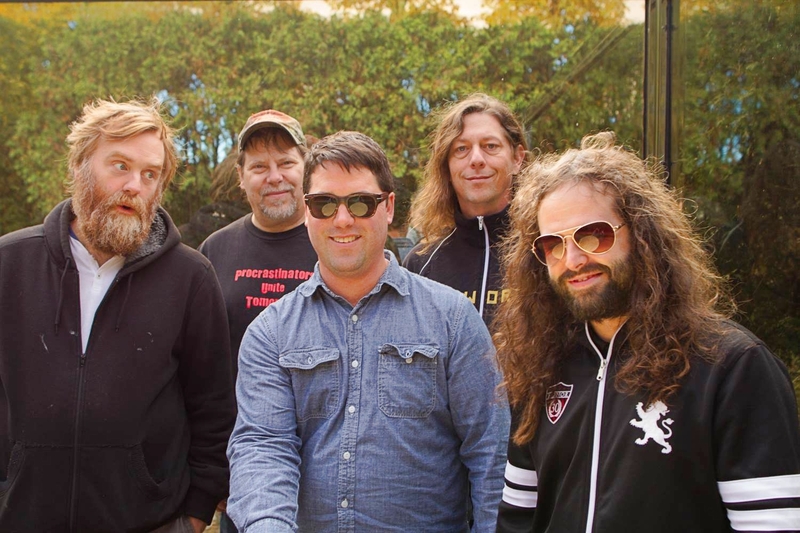 Today, Leftover Salmon is Vince Herman (vocals, acoustic guitar, washboard); Drew Emmitt (vocals, acoustic and electric mandolin, electric guitar, fiddle); Andy Thorn (vocals, acoustic and electric banjo); Greg Garrison (vocals, acoustic and electric bass); Alwyn Robinson (drums); Erik Deutsch (keyboard). Also featured on this episode, Keb' Mo'. Keb' played at the tent in 2004, and dusting off the 14-year old recording is an excellent way to celebrate his return to the Big top in 2018. He's a blues icon that owes his longevity as a singer and writer to a combination of masterful, anecdotal writing skills, distinctive guitar versatility, and resonant, blues-soaked vocals. Every song tells a story, and every story reminds us why Keb' Mo' is one of the most versatile and engaging performers on today's roots rock and blues scene. This episode features Tab Benoit, a Cajun man who’s definitely got the blues. A guitar player since his teenage years, he hung out at the Blues Box, a ramshackle music club and cultural center in nearby Baton Rouge, Louisiana run by guitarist Tabby Thomas. Playing guitar alongside Thomas, Raful Neal, Henry Gray and other high-profile regulars at the club, Benoit learned the blues first-hand from a faculty of living blues legends. More than just an acclaimed bluesman, he is an indefatigable conservation advocate. Benoit is a driving force behind Voice of the Wetlands, an organization working to save Louisiana’s wetlands. Also on this episode, Hope Country – a band started by Brent Johnson in 2011 to create an environment and place of hope. Born and raised on a farm in Wisconsin, Brent had a desire to see the world and travel at an early age. He began playing in bands at 17 and has since toured in over 40 states as well as all over Canada. With an emphasis on strong songwriting and storytelling lyrics, Hope Country has developed into a prime example of modern-day Americana. Our featured performer on today’s show is Ray Benson, founder of legendary Texas country and western swing outfit Asleep at the Wheel. Sometime around the halfway mark I’ll share a story about surviving the New Year and Colonoscopies. We’ll also sneak in a pair of tunes from Ray Benson’s Lone Star pal Dale Watson, and—for local flavor—one from our very own Blue Canvas Orchestra. John David Anderson (born December 13, 1954, in Apopka, Florida) is an American country musician with a successful career that has lasted more than 30 years. Starting in 1977 with the release of his first single, "I've Got a Feelin' (Somebody's Been Stealin')", Anderson has charted more than 40 singles on the Billboard country music charts, including five Number Ones: "Wild and Blue", "Swingin'", "Black Sheep", "Straight Tequila Night", and "Money in the Bank". He has also recorded 22 studio albums on several labels. His newest album, Goldmine, was released on May 26, 2015, on the Bayou Boys Music label. Christopher Joseph "Chris" Isaak (born June 26, 1956) is an American rock musician and occasional actor. He is best known for his hit "Wicked Game," as well as the popular hit songs "Baby Did A Bad Bad Thing" and "Somebody's Crying." He is renowned for his signature 1950s rock & roll style and crooner sound, as well as his soaring falsetto and reverb-laden music. He is closely associated with film director David Lynch, who has used his music in numerous films and gave him a large role in the film Twin Peaks: Fire Walk with Me. His songs generally focus on the themes of love, loss and heartbreak. With a career spanning four decades, he has amassed a total of twelve studio albums, and has accumulated numerous award nominations and tours. He has been called the Roy Orbison of the 1990s, and is often also compared to Elvis Presley, Ricky Nelson and Duane Eddy. Socks in the Frying Pan are a multi-award winning trio from County Clare on the West coast of Ireland, the universal hub of Irish traditional music. Their dynamic vocal harmonies, virtuosic musical ability and their onstage wit has captured and captivated audiences the world around. One of the most sought after groups in Irish music today, the worldwide ‘Sock Invasion’ continues! Socks in the Frying Pan comprises of Aodán Coyne on guitar and vocals and the accomplished Hayes brothers, Shane Hayes on accordion and Fiachra Hayes on fiddle & banjo.This youthful trio blend Irish traditional melodies with their own personal flair which has gained them critical acclaim and accolades including ‘New Band of the Year’ by the Irish Music Association. The group have been embraced in the United States, having been booked by every major Irish festival and praised for their modern traditional style and energetic approach to music. They have a clear love for live performance which only compliments the traditional essence in their shows and makes for a truly unique form of entertainment. After nearly two decades and more than 3,000 live shows, Gaelic Storm — the chart-topping, multi-national Celtic band — is looking sharper than ever with their latest release, Matching Sweaters. The new album mixes traditional Irish music with modern influences, creating a sound that's as wide-ranging as the band's own audience. From bluegrass fans and country cowboys to Deadheads, rock & rollers and Celtic fanatics, Gaelic Storm has built one of the most diverse fan bases in modern music. Matching Sweaters helps explain the broad appeal. Rooted in the songwriting of founding members Patrick Murphy and Steve Twigger, the album moves from drinking songs ("Another Stupid Drinking Song") to energetic instrumentals ("The Narwhaling Cheesehead") to rootsy pop/rockers ("Whiskeyed Up and Womaned Out"), gluing everything together with the spark and spirit of a band that's spent close to 20 years on the road. "We're a touring band," says percussionist Ryan Lacey, who joined the lineup in 2003. "That's how this band works.Matching Sweaters is one of the most complete albums we've done so far, because it taps into every facet of our live show." Rolling Stone calls moe. a “legendary jam band.” They are a celebrated progressive rock band with 20 years of touring and just as many albums under their belt, and they continue to push the standard for performance art. Whether touring across the globe, headlining music festivals, or sharing the stage with such celebrated acts as the Allmans, The Who, or Robert Plant, among others, what keeps moe. at the forefront of the music scene is not only the energy and vitality of their music and songwriting, but the showmanship in which it is delivered. Tall Heights is a contemporary folk duo from Boston. They provide a moody, harmony-heavy sound featuring guitar, cello and synthesizer that has been called “unclassifiable,” part Simon & Garfunkel and part Bon Iver & Fleet Foxes. The Barefoot Movement has become a Big Top favorite, returning for their third time as the leaders of our annual Bluegrass Camp for Kids. They were award winners at the Telluride Bluegrass Festival in 2013 and the 2014 International Bluegrass Music Awards. They draw on bluegrass, folk, acoustic rock and Americana, and with original songs, impressive instrumentation and interweaving harmonies, this band converges old and new into a style all its own. Country a cappella band Home Free was crowned Champions of NBC’s “The Sing-Off” in 2013 launching them onto the national spotlight. The group, hailing from Mankato, Minnesota was founded by brothers Chris and Adam Rupp during their college years when they performed at countless State and County Fairs, college campuses and in theaters across the country. Home Free continues to entertain audiences nationwide with their high-energy show peppered with quick-witted humor that meshes Nashville standards with pop hits dipped in country flavor. They were a unanimous hit last summer when they debuted at the tent, tying for Number 1 in our reader’s poll of favorite 2015 Big Top shows. We’re thrilled to welcome them back. Yonder Mountain String Band bends bluegrass, rock and other influences, pioneering a genre-defying sound of their own. 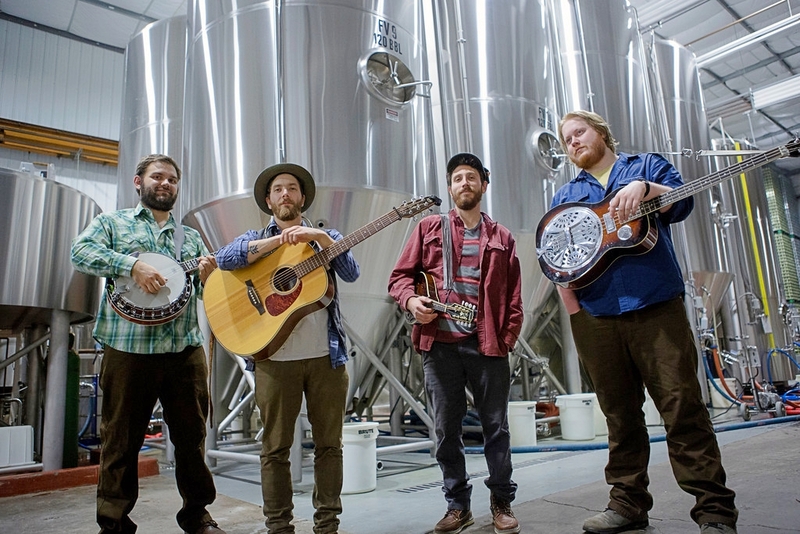 The Colorado-based foursome has crisscrossed the country over the past eleven years playing such varied settings as Telluride Bluegrass Festival, Austin City Limits Festival, Bonnaroo and Big Top Chautauqua six times since 2006! Perhaps the biggest new hit of last summer was this musical gem from the team of Severin Behnen, Stevie Matier and Bruce Burnside. Belfast to Bluegrass is a musical adventure of jigs and ballads as they travel to the Appalachian Mountains by way of a quarter of a million Scots Irish. Before the United States were formed, the inhabitants were absorbing, merging and transforming the ethnic sounds of its people. Hear the changes in the traditional Celtic tunes as bluegrass and other genres are being born into the world of our traditional American musical culture. Performed by the Blue Canvas Orchestra, featuring special guests Stevie Matier, Molly Stoddard, Tom Draughon, Nori Perrine and Liesel Wilson. The Cactus Blossoms, brothers Jack Torrey and Page Burkum grew up in northeast Minneapolis and have been blending their voices as The Cactus Blossoms since 2010. Their hypnotic harmonies and unforgettable songs have made them favorites in the Minneapolis–Saint Paul music scene. Their latest album, Live at the Turf Club, blurs the line between old and new as they sneak a few originals into their repertoire of early country and Western swing. We bring together music and humor in a special night of grand entertainment. Michael Perry,a Wisconsin native,is a New York Times bestselling author, humorist and the host of Big Top’s Tent Show Radio. Tonight he’ll present humorous monologues from his books and humor albums including Never Stand Behind A Sneezing Cow and The Clodhopper Monologues. Ronny Cox is a superbly talented singer-songwriter, musician and actor who has been consistently active in music and Hollywood for over 40 years – you might recall his character spots in Deliverance, Beverly Hills Cop, Total Recall and others. Ronny’s music is eclectic, a woven tapestry of songs and stories that tells something of “the human condition”. Enhancing his consummate storytelling is the music provided by Ronny and his band of world-class, virtuoso musicians, including Blue Canvas Orchestra member Bruce Bowers. The Quebe Sisters (pronounced Kway-bee) are the newest darlings of Western music, performing a refreshing blend of vintage country, bluegrass, jazz & swing standards, and Texas style fiddling. Our celebrated house band, led by the incomparable Ed Willett on cello, cuts loose in a special concert showcasing the best of the Blue Canvas Orchestra. The band and special guests will reprise some of our favorite songs from the 2015 season of shows and dust off some old favorites. The Blue Canvas Orchestra has been the glue that holds the Big Top family together for 30 years. Their exquisite musicianship covers many styles of music ranging from bluegrass to folk to jazz and country! Come discover why this band is beloved throughout our great state and beyond. Ireland’s Folk Band of the Year, The High Kings, is Finbarr Clancy, Brian Dunphy, Martin Furey and Darren Holden. Coming from impressive musical pedigrees, The High Kings grew up in households soaked in the Irish musical tradition. Since 2008, they have sold out hundreds of shows in Ireland and the U.S., made numerous TV appearances, and achieved platinum status with their first two albums – they are a phenomenal live band as we found out last year in their critically-acclaimed debut at the Big Top en route to Milwaukee Irish Fest. Over the course of 10 albums and nearly 3,000 live shows, Gaelic Storm — the chart-topping, multi-national Celtic band — is dishing up a hearty serving of Full Irish – The Best of Gaelic Storm. The latest album spans the bulk of the band’s career, mixing crowd favorites and concert staples with three previously unreleased recordings, including “Whiskey in the Jar” and “Irish Party in Third Class” from Titanic. Full Irish is the band’s fifth consecutive #1 Billboard World Album. Regularly playing more than 120 shows a year, Gaelic Storm has built a loyal following for their cross between traditional Irish music and harder-edged Celtic rock. Charlie Daniels is partly Western and partly Southern. His signature “bullrider” hat and belt buckle, his lifestyle on the Twin Pines Ranch (a boyhood dream come true), his love of horses, cowboy lore and the heroes of championship rodeo, Western movies, and Louis L’Amour novels, identify him as a Westerner. He is the son of a lumberjack and a Southerner by birth; his music – rock, country, bluegrass, blues, gospel – is quintessentially Southern. He is best known for his number one country hit “The Devil Went Down to Georgia,” and was inducted into the Grand Ole Opry in 2008. If you’re looking for something that has you moving in your seat as soon as the music starts, then look no further! Louisiana native, Jeffery Broussard creates incredible music and outstanding performances with accordion mastery and soulful vocals. The band delivers great, pack-the-floor renditions of Creole classics and Cajun-style covers as well as their own brand of contemporary Zydeco. Join Paul LaRoche, the founder of the award-winning Native American group Brulé, and performers from Red Cliff’s school of dance, Native Expressions Drum & Dance, in an afternoon cultural performance. LaRoche speaks of the reconciliation between cultures as he shares Brule’s unique brand of revved up music and dance. Native Expressions performs with a mission of positive self-esteem for all people and brings the message of unity and the knowledge that we are all one tribe. Stick around after the performance to try out a dance step or two, led by the dancers of Native Expressions.